Troubled Nigerian-owned news channel Arise News is having a second go at operating a service on Freeview. This time, the channel is being operated as a streamed channel - for viewers with compatible devices connected to the internet. Arise News has been added to channel 257, with the portal through which connected devices access the stream located on multiplex COM4 (SDN). The service is being facilitated by Synapse TV, who are licenced to operate a number of streamed channels on the digital terrestrial TV platform. The channel was originally available in some areas on Freeview last year as a regular linear over-the-air channel, before it was suddenly pulled amidst long-standing reports of missed payments to suppliers and staff. 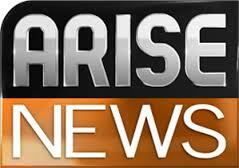 Arise News has not been able to maintain a constant service on Sky, the only other TV platform the channel is distributed on in the UK and has frequently been observed dropping off and then being reinstated on the Sky EPG, with news programmes periodically being replaced by looped documentaries. Will it be YouView compatible I wonder? I've not come across a Synapse TV operated portal to work on YouView. I understand YouView requires a little work around that is applied to the Arqiva operated streamed channel portals. However if anyone does see this working on YouView, let us know. This channel been broadcasting on channel 244 for about 2 weeks now. I think Arise news is wasting its time and inconveniencing customers. I mean, just who is going to buy a TV with the facility to receive Arise Data channel? You can get other channels on apps. What is sadly missing from the apps is Russian Music Box. As for Arise news? I am unlikely to bother with that one. If it's gone, then it's gone.